Unlimited in both access and amount, Rent ’n Connect offers high-speed, uninterrupted internet connection that allows you to roam the internet throughout Turkey without the fear of expensive roaming charges. The portable 4G connected mobile hotspots require no installment or cable connections. Simply rent the device and you are ready to go. With the ability to connect one hotspot to 10 devices, an unlimited data allowance and a portable charging power bank all included in the rental price, you will always be able to get online. Safety is vital when browsing the web and having unlimited internet access means nothing without a secure connection. That’s why Rent ’n Connect has partnered up with Turkey’s leading telecommunication operators, ensuring that the internet access offered through their hotspots is always safe and secure. Additionally, all hotspots are restored to factory settings when returned by a customer. You can use the devices safe in the knowledge that no personal data will ever be stored on them. From start to finish, the hotspot rental process is easy and simple. 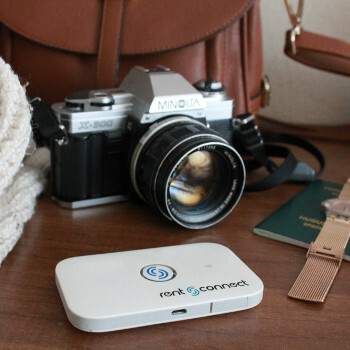 Rent ’n Connect can deliver the device to a selected airport or hotel before you arrive ensuring there is no delay in getting you online. They can also bring the hotspot to your rented accommodation. Even same day delivery is available at certain locations. Returns are just as hassle free. You can leave the hotspot in a prearranged drop off point at a selected airport, or at your hotel reception. It can also be personally collected from you at the same location it was delivered to, such as your rented accommodation. Simply choose what option works best for you.